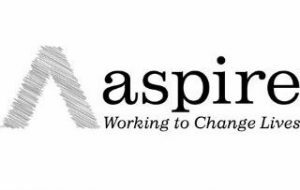 Aspire Oxford is an award-winning social enterprise, tackling poverty, homelessness and disadvantage across our community. Our unique enterprise model means that we can provide our clients with hands on work experience on our social enterprise businesses to help them build their skills, training and confidence and move into employment. We are proud to use innovation in enterprise to transform over 1,000 lives each year. Over the last year, we have taken our enterprise model one step further and are now able to incubate community and student led initiatives to deliver further social impact in Oxford. “My name is Henry and I started working with the healthy lifestyle and sports activities that Aspire offers in late 2016 after being introduced to them at the hostel I was living in. This was a good option for me as I was recently released from prison and was new to Oxford. I did not know any one and could not afford the gym. “Training with Aspire’s boxercise class gave me something to do, people to talk to, a kind of routine and kept me fit. The classes were very good and taught me a few things about training groups which I have found useful as I want to be a trainer also. 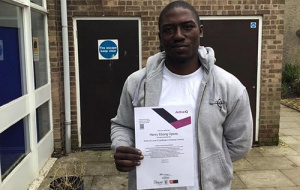 “Aspire also funded me on a Personal Training course (Levels 2 and 3) raising £700. Had they not funded me I may not have the job that I have started now as a personal trainer. There is also a potential that Aspire will again help me by putting me forward for a qualification in boxing training which would be very useful for me in my work. Being able to offer our clients the chance to set up their own businesses and deliver further social impact in Oxfordshire is an exciting step change for Aspire.